Health insurance isn’t the sexiest industry. In fact, Global CMO Lisa Bacus said most millennials would rather spend 24 hours without social media than going over their healthcare insurance forms. But it’s not all bad; purpose-driven companies are turning heads and making a difference. Bacus, speaking at the annual ANA Masters of Marketing conference in Orlando on Thursday, said that research from McCann shows that 81 percent of people believe global brands have the power to make the world better. "What’s our role as champions for our customers in health?" she said, adding that healthcare issues today range from financial concerns and obesity to depression and epidemics, like opioid addiction, and much more. From its research, Cigna discovered that 70 percent of medical costs result from conditions driven by lifestyle choices. This is why the company drives well care and prevention as well as covering sick care. Cigna’s insights led to three areas of action that helped transformed the brand, said Bacus. First, it focused on saving lives through prevention. Fewer than half of Americans go for annual checkups and Cigna wanted to change that. In 2016, it launched its "TV Doctors" campaign with McCann NY, which got some of the most beloved pretend physicians from TV history to get encourage consumers to get checkups. 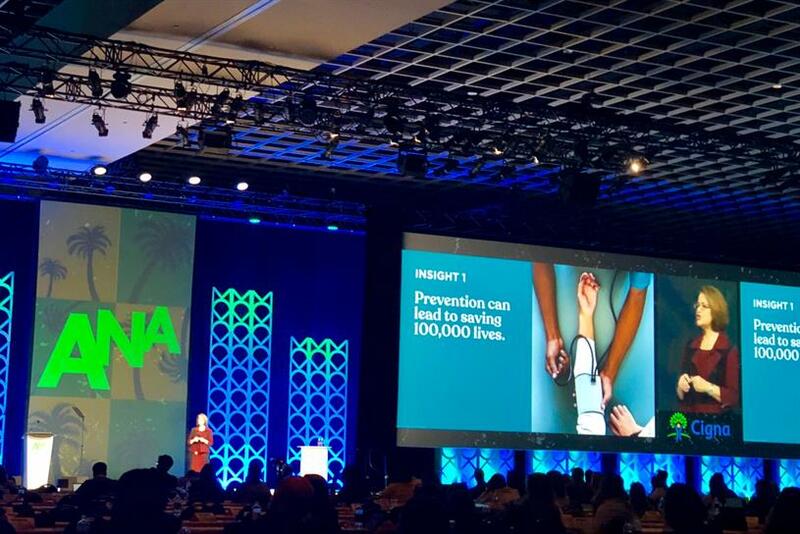 Following the campaign, preventative care visits increased 18 percent and Cigna’s customer growth and revenue grew 6 percent and 9 percent, respectively. Second, Cigna decided to change its conversation around societal issues by addressing issues undermining wellness today. And lastly, Cigna looked internally at its own data to redefine how it organized itself and shifted its guidance and advocacy to focus on empathy. "You can rethink the business you’re in to have greater impacts on your communities, countries and world. You can use creativity to impact change in very surprising ways. And you can achieve our business objectives while caring for people. In fact, I would argue that caring for people drives better business results," said Bacus.